Apple announced it’s long rumored 10.5-inch iPad Pro replacing the current 9.7-inch iPad Pro which was the most popular choice for iPad Pro buyers. The 10.5-inch comes in the same form factor as the 9.7-inch which means Apple reduced the bezels(near bezel-less) on the side making it a near seamless display experience. The display on this iPad with a resolution of 2224×1668 at 264ppi now supports a refresh rate of up to 120Hz and can dynamically switch the refresh rate based on your task to maintain Apple’s claim of 10-hour battery life thanks to what it calls ProMotion technology. This directly translates to super silky smooth scroll and animation and near-instant reaction to the Apple Pencil. The new iPad also comes with a major internal upgrade boosting performance thanks to Apple’s new A10X Fusion chip with six cores, 12 cores GPU and 30% increase in CPU speed and 40% increase in graphics performance. Apple also built in an Image signal processor and uses the same camera modules of the iPhone 7 with 7MP front facing FaceTime Camera and a 12MP rear-facing camera. 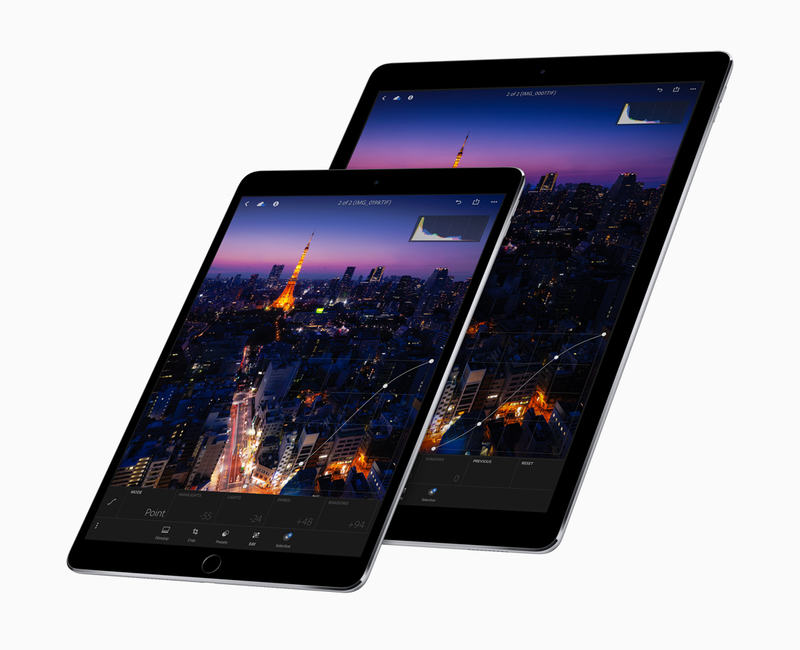 Apple claims that the new iPad is more powerful at handling complex tasks like advanced photo editing compared to most PC’s out there today some which may even be a quad core i7 CPUs. While that is a big claim, the company did show off its capabilities with a demo using a photo editing app that brought home their point. 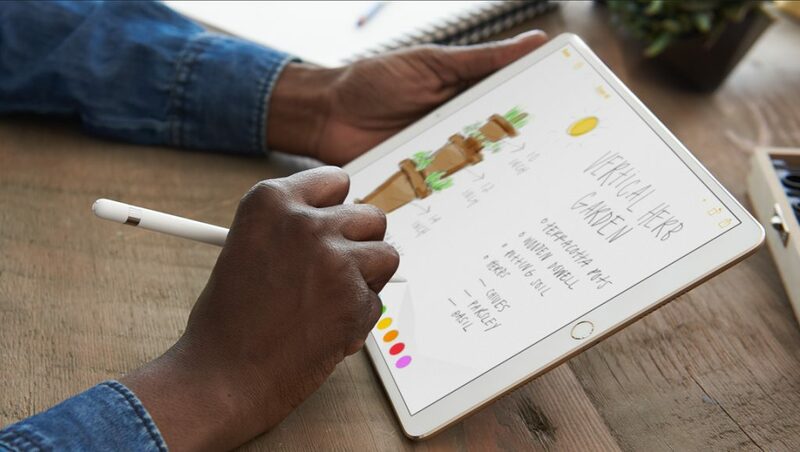 Apple Pencil being used on the new iPad Pro 10.5-inch. But what makes the new iPad the best in its class is an all-new iPad-centric iOS 11 which gives new meaning to iOS for the iPad. 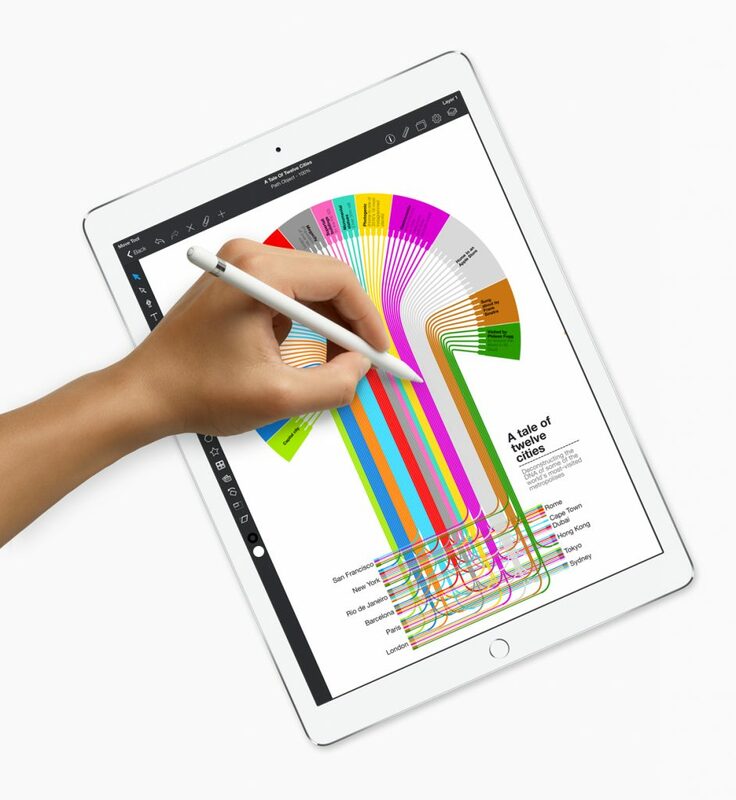 Apple revamped the built-in Notes app to include a multitude of different features in conjunction with the Apple Pencil directly competing with Microsoft’s Surface Pro and Surface Laptop. In my opinion, iOS 11 for iPad brings more similarities of macOS than iOS for iPhone with features like advanced multitasking, content switching between apps, a new dock, and file manager to name a few. This is a great move for Apple as the iPad seem to be more like a larger version of an iPhone but with this new update, Apple could be winning back a lot more customers. The new iPad starts at $649.99 for 64GB which is pretty reasonable. The 12.9-inch iPad Pro also gets an updated display and specs. Apple did a great job with iOS 11 for iPad and will be quite frankly the best thing that ever happened to its iPad lineup.